Enter the new Nintendo Canada Valentine’s Day Contest, in it, you could Win a trip to the Nintendo New York store. Entry to this contest is open only to legal residents of Quebec who are at least 13 years of age. To enter you need to post an image or video on your Instagram or Twitter accounts showing “how much you love to game on the Nintendo Switch” including the #JetaimeNintendoSwitch and #ConcoursNintendo hashtags. There is a limit of one entry per person. Contest closes on Monday, February 18, 2019 at 11:59 pm. Winner will be selected by a panel of judges. 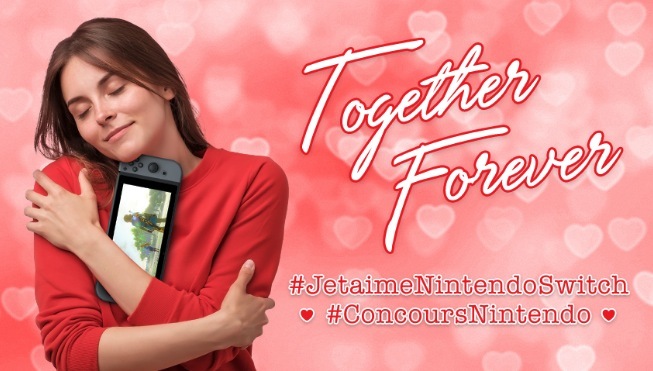 The Nintendo Canada Valentine's Day Contest begins Friday, February 1, 2019 at 12:00 pm and ends on Monday, February 18, 2019 at 11:59 pm. The judging will take place on February 19, 2019. Winner will be notified by direct message on Twitter or Instagram.